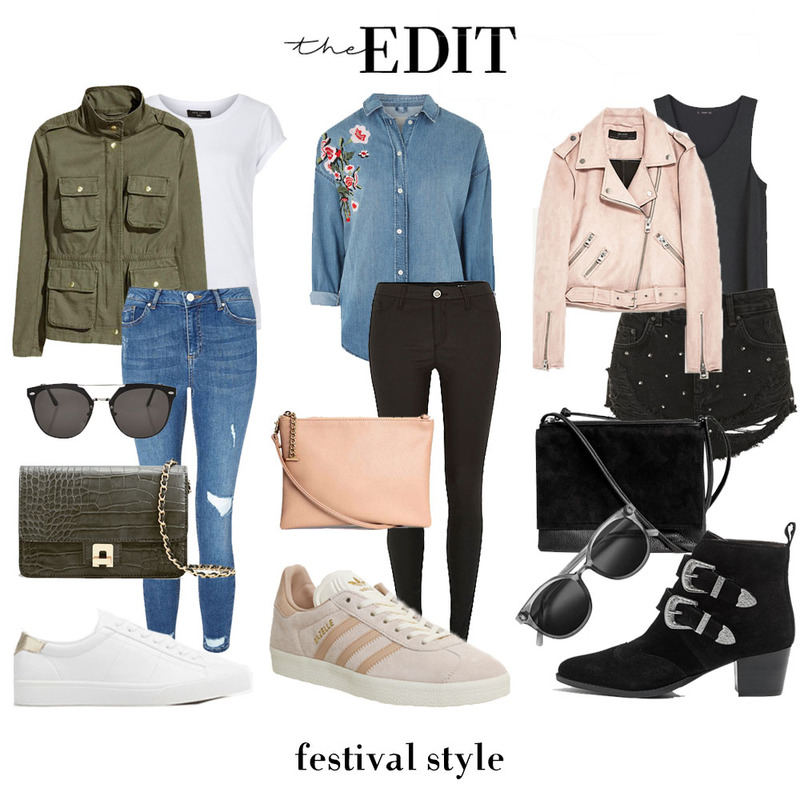 With festival season upon us, it is often a whole task in itself in deciding what to wear prior to the event, especially when you have to factor in an element like the weather. Will it rain? Will I be too hot? Will I be too cold? Will my nice shoes get ruined? Welcome to the UK, this is certainly no Coachella. If there's one place you can get away with pushing the boundaries with style, it's at a festival. Personally, I prefer the 'effortless look', the 'I've just chucked on a few basics with a few key items' type but if you've got the confidence to go all out, go for it! One thing I will say is, I think as soon as you start navigating away from your personal style too much it will show and people lose the fun of festival fashion because they are too busy worrying about what everyone else is wearing and having to stick to a certain 'theme'. One of the main aspects of looking great is confidence - remember that. As Common People is fast approaching, I have put together a couple of different looks to show how you can style your every day items and make them festival appropriate. When looking for inspiration, my favourite festival fashionistas have to be.. Laura Whitmore, Mollie King, Millie Mackintosh, Rosie HW & Kate Bosworth, to name a few in the celeb world. They always look so effortlessly put together, whilst remaining true to their style and this is the theme I tried to follow when choosing the three outfits above. Remember to team with accessories - whether it's statement jewellery, floral crowns (so generic, but so great) or belts.. let the details do the talking! I've mixed a few of the current trends, whilst keeping it practical and easy to layer/ accessorise - being able to mix and match is invaluable. It helps to be a bit fashion practical. Layers will absolutely be your best friend for this type of event, you'll need more as it becomes chillier towards the evening but also lightweight items to remove during the day. Oh and by the way, tying a jumper around your waist does look cool - I once used a jumper as a belt.. a bit of waist definition never goes a miss! Let's not forget a pac-a-mac - vital part of the festival essentials. Superb for if it rains, equally ideal if you need something to sit on, oh and it also manages to fit in even the worlds smallest of bags - trust me I've tried. Finally, never forget.. sunglasses, eye protection and hiding your face when required! Suncream too, if you're a true brit like me, afternoon lobster anyone? *Post in association with Common People.